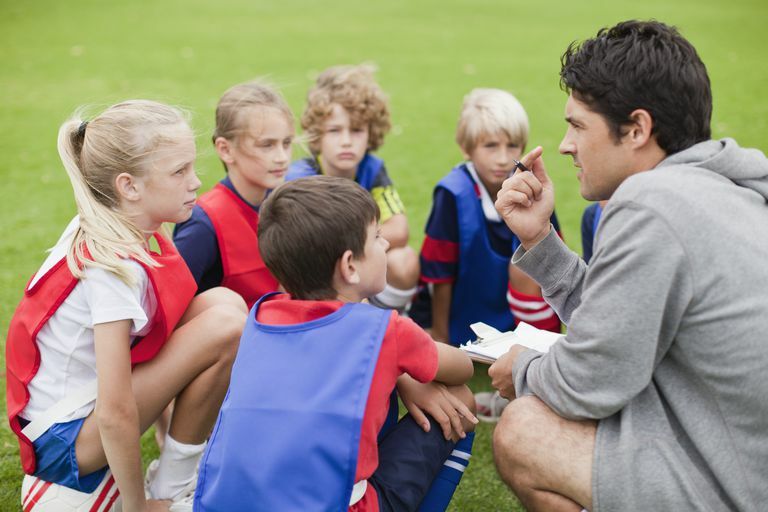 If you are a school teacher, coach or group leader, you will invariably come across situations where you have an ADHD child to supervise and teach. Group situations can present many challenges for children with ADHD. If behaviors are not addressed properly, the group experience may quickly deteriorate and become a negative one for this child and the other children within the group. Children with ADHD want to succeed, make friends, and do well in group situations, though they often have a difficult time doing so. Your approach as a teacher or coach can make a big difference in a child’s experience. Cathi Cohen, director of In Step Mental Health and author of several books on social skills training, outlines some simple tips for caregivers in her book, Outnumbered; Not Outsmarted! An A to Z Guide for Working with Kids and Teens in Groups. Before you can help an ADHD kid, you must first believe that ADHD is a genuine brain disorder that results in unintended behaviors and consequences. You need to understand that ADHD is neither a reflection of a child's character nor of his intelligence or upbringing. Adults who believe that ADHD is a made-up diagnosis may think the child's behavior is willful and caused by a lack of discipline or poor parenting. These adults are going to handle their interactions with an ADHD child very differently than those who recognize the disorder's impact. It takes a mature, patient, calm adult leader to manage an ADHD child in a group setting. The key to working successfully with the ADHD kid is to focus on strengths and provide opportunities for learning. ADHD kids are energizing. They are often passionate, enthusiastic, and active children. Take the time to catch the ADHD child doing good things, and compliment her. While the standard punishment model of discipline may be appropriate for some kids, it generally backfires with the ADHD child. Channeling her behavior in a positive manner reduces the odds that misbehavior will occur. The ADHD child is approximately two to three years behind his/her peers in emotional maturity. This can be confusing for adults, especially if the ADHD child is physically large for his chronological age but behaves several years younger, socially and emotionally. Adjust your expectations accordingly. Many kids with ADHD have trouble following multi-step directions. It may be fine for you to tell most kids to make their beds, sweep the floor around their bunk, and hang up their wet towels after swimming. However, if you give the same set of instructions to an ADHD kid, he might remember to make his bed, but will most likely get distracted and forget the rest of what he was supposed to do. Parents of ADHD children generally know what works and what doesn't work when disciplining their child. Check in with the parent for guidance. ADHD children respond very well to predictability and structure, so they appreciate knowing the routine in advance of the situation. Give the ADHD child time to prepare to switch gears when activities are shifting. Because ADHD is a disorder of self-control, ADHD kids may do and say things that they don't mean. Their impulsivity results in their inability to hold their tongues and restrain their actions. It takes a strong adult to refrain from taking the bait and retaliating with punishments and reprimands. Tell them what you want them to do (not just what not to do). Catch the child exhibiting positive behavior. Move closer to the ADHD child when you want his/her attention. Ask the ADHD child to do small errands/chores to redirect negative energy. Cathi Cohen. Outnumbered; Not Outsmarted! An A to Z Guide for Working with Kids and Teens in Groups. Personal interview/correspondence. 07 August 2008.